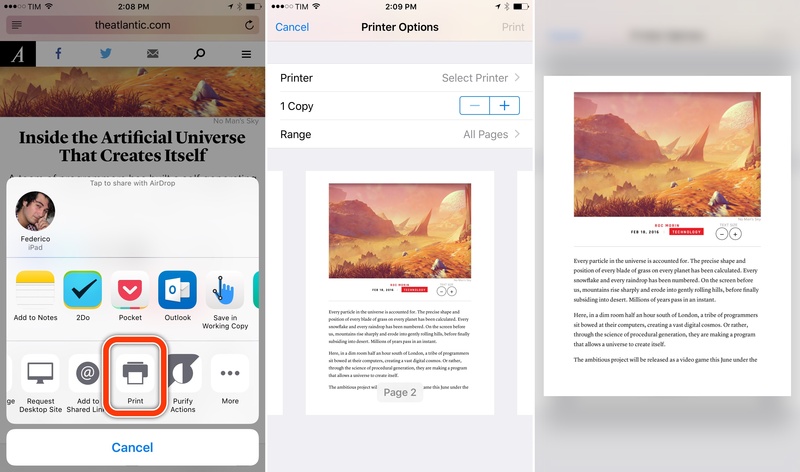 Printing to PDF with 3D Touch. Note: this tip was first shared with Club MacStories members over a month ago in issue 16 of MacStories Weekly. We are sharing it today as a one-off sample. Subscribe now and don't miss out on more iOS tips and workflows. A hidden option of iOS' Print feature I've recently discovered is a way to export a PDF file from the Print preview screen using 3D Touch. I haven't been able to replicate it without 3D Touch on the iPad, which makes the option available exclusively on the latest iPhones. When viewing a page you want to save as PDF – say, a webpage in Safari or a note in the Notes app – open the share sheet, find the Print extension at the bottom, and tap it. 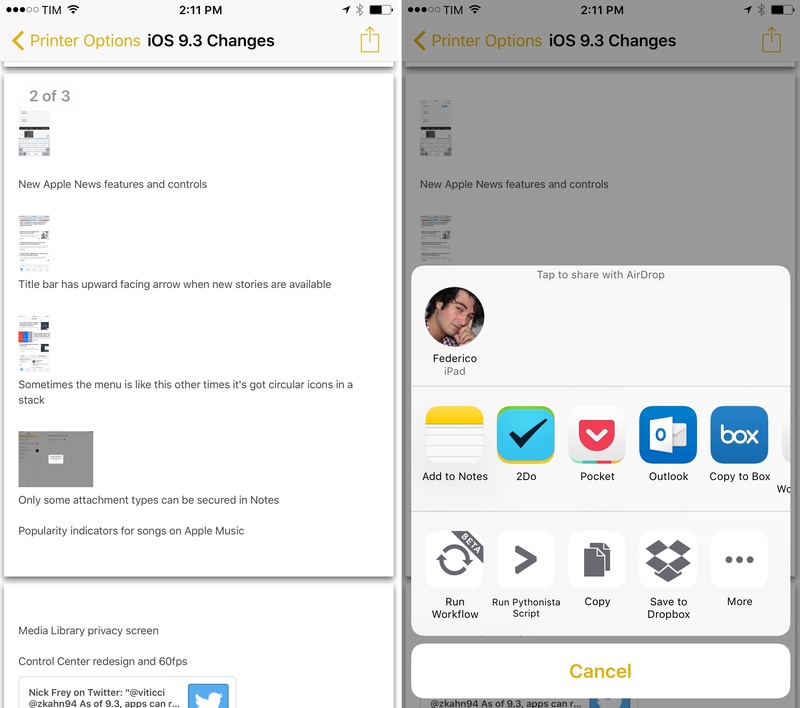 This will open a Printer Options screen with a page preview in the lower half. You can swipe on pages to scroll through them, but what I didn't know is that you can also press lightly on a page and then pop it open to get a Quick Look preview of the PDF file that's going to be printed. Because it's a PDF file, you can share it with other apps and action extensions, saving it elsewhere. You can also generate PDFs from the Notes app. Thanks to this hidden feature, you'll be able to share PDF files generated natively by iOS with other apps, including Dropbox and Workflow, without having to save the PDF to iBooks. I wish this could also be done on an iPad.